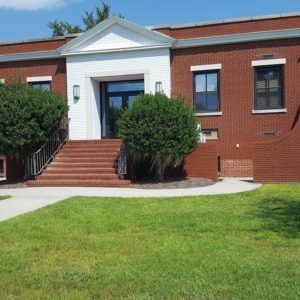 This interpretive center chronicles the history of Mather School in Beaufort, a boarding school for freed African American females. The institution was founded in 1868 by Boston school teacher Rachel Crane Mather, and is one of many post-Civil War developments that sought to educate recently emancipated African Americans. It first served elementary school-age girls. In 1910, high school grades were added, and in the 1950s, it became a junior college. Today, the museum is housed in the historic school’s former library, and the campus is the site of the Technical College of the Lowcountry. 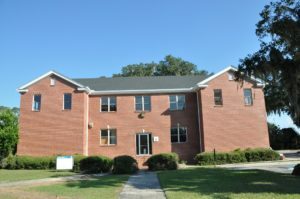 Moor Hall (pictured below,) one of the campus’ original historic buildings, housed classrooms, served as an administration building, a science laboratory, a library and a book store. The school of cosmetology training was housed in the basement.